A bomb blast in a train in the Egyptian city of Alexandria on Thursday wounded five people, security officials said, as police crushed protests marking the anniversary of the ouster of president Mohamed Morsi. Militants have stepped up attacks since the removal of Morsi on July 3 last year amid a brutal police crackdown that has targeted his supporters. 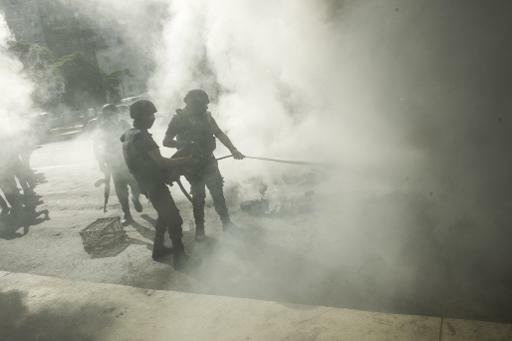 In late Thursday’s attack in the Mediterranean city of Alexandria, five people were wounded when a bomb hidden in a briefcase near a passenger seat exploded inside a train compartment, security officials said.